LED Matrix Handbag made with Adafruit Feather #WearableWednesday « Adafruit Industries – Makers, hackers, artists, designers and engineers! Hackaday recently posted about this gorgeous LED matrix handbag made by Debra Ansell and spotted at Maker Faire this year. You can read more about the bag on Hackaday and on Debra’s site here. Adafruit Feather 32u4 Bluefruit LE: Feather is the new development board from Adafruit, and like its namesake it is thin, light, and lets you fly! We designed Feather to be a new standard for portable microcontroller cores. 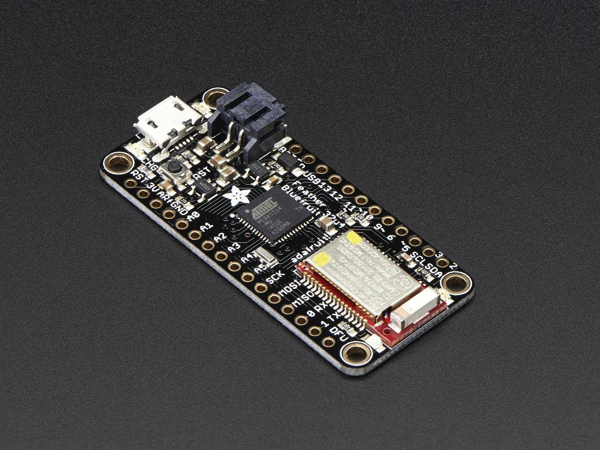 This is the Adafruit Feather 32u4 Bluefruit – our take on an ‘all-in-one’ Arduino-compatible + Bluetooth Low Energy with built in USB and battery charging. Its an Adafruit Feather 32u4 with a BTLE module, ready to rock! Read more.